‘Coffee scrub benefits’. 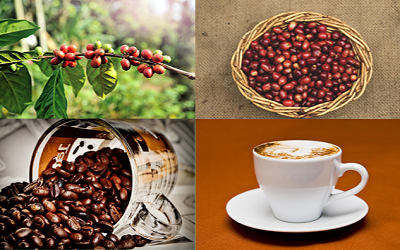 By roasted coffee beans we prepare a brewed coffee drink and play a popular role as a drink in the world. Coffee has a dark color, bitter in taste, slightly acidic, and due to caffeine content, it has a stimulating effect in humans. A study shows that a cup of hot coffee can aid in boosting your senses and gives you refreshment. This is due to the presence of caffeine in coffee. Caffeine is bitter in taste and most commonly consumed in the form of tea, coffee, soft drinks, and energy drinks. Consumption of an ideal quantity of caffeine provides you with positive effects on your health. Consumption of caffeine increase sports performance, increase alertness and reduce fatigue. Caffeine lifts up your mood and can help in ward off drowsiness. A cup of Coffee in the morning provides the necessary boost that we need to get out of the bed and to kick start our day. It has surprising beauty benefits for skin and hair. Coffee plays an important role for skin is to use as a face scrub. This coffee face scrub used for exfoliating the skin for removing of dead and dry cells from the face, and you get smooth and clean skin. ½ cup ground coffee, ½ cup brown sugar, ¼ cup olive oil. Mix all ingredients and make a fine paste. You can apply this paste on your face and massage the face in circular motion for exfoliating the skin. You can wash your face with water after some time and use moisturizer. In ‘coffee scrub benefits’ for skin cellulite reduction have a very important place. So, everyone wants to get rid of cellulite from the skin for beauty. So, coffee plays an important and effective role in reducing cellulite. Coffee contains this amazing property due to the presence of caffeine which dehydrates the fatty cells and minimizes the appearance of cellulite and you get smooth and clean skin. A study conducted at Sao Paulo University and this study show that skin cream that contains caffeine is 17% more effective for reducing the appearance of cellulite. Coffee stimulates the blood circulation and lymph circulation in the body, so it helps in the elimination of toxins and wastes. 2 tablespoons of coffee, 1 tablespoon vitamin E oil, 1 tablespoon aloe vera gel. Mix all ingredients and apply this. Antioxidants present in coffee in rich value and antioxidants of coffee plays a very effective role in repairing the damage which is caused by the ultraviolet radiations. A study published in the Proceedings of The National Academy of Science about coffee and this study shows that topical application of coffee on the skin protects it from the harmful ultraviolet radiation and decrease the skin cancer risk by inhibiting a protein enzyme in the skin. In ‘coffee scrub benefits’ for skin, anti-inflammatory property of coffee has a significant place. In coffee, caffeine present in good value and this caffeine contain anti-inflammatory property. Due to anti-inflammatory property of caffeine, it reduces the inflammation and redness of the skin. There are three feared signs of aging (wrinkles, fine lines, loss of elasticity and due to free radicals you get premature skin aging. I also discuss that caffeine contains a rich value of anti-oxidants and these anti-oxidants prevent free radicals and eliminate them. So, caffeine use in anti-aging creams in conjunction with retinol. Foe reducing redness blood vessels are constricted by caffeine and caffeine works as an ideal treatment for facial flushing and Rosaceae. Caffeine helps in circulation and works as a diuretic topically. So, it has a good property for calming irritation skin redness which generates by sun damage and Rosaceae. Coffee plays a very important role for reducing under eye dark circles and puffiness and these dark circles caused by dehydration, allergies, sleep deprivation, genes. But these dark circles can’t cure by caffeine if they caused by hereditary factors. Thus, caffeine is very effective and plays an important role in treating dark circles under the eyes. So, in every cream caffeine is added for erasing dark circles. Caffeine of coffee has an effective property for tightening the puffy skin and reduces skin fine lines. Thus, caffeine is added in most of the beauty creams for fine lines reduction, skin tightening, and other skin benefits. Coffee cocoa face pack is played as a perfect solution for providing soft skin. Anyone can prepare this face pack at home. This face pack helps to give you soft skin, hydrated skin, nourishes skin deeply, and tightens skin pores. 2 spoons of ground coffee, 2 spoons of cocoa powder, 1 spoon of honey, 3 spoons of milk. Mix these ingredients well and apply this for amazing beautiful skin. You can use yogurt in place of milk if you have oily skin. Here, I share this amazing information about “coffee scrub benefits” for skin for general and educational purpose and it doesn’t keep relation with any medical advice. Although, it is no doubt that coffee has amazing benefits for healthy skin if used in ideal quantity.